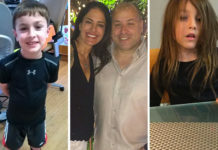 According to police, Keith Caneiro and his family were murdered prior to the family. Meanwhile, Paul Caneiro, Keith's brother, has been charged with setting his own house on fire 12 miles away. No arrests have been made related to Caneiro family homicide yet.